A tremor -- or uncontrollable shaking -- which can be triggered by alcohol use, is characterized by fluttering, jerky movements of hands and fingers, and cannot be stopped voluntarily. Tremors can also occur in your arms, head and eyes, and can affect your voice. People who experience tremors associated with alcohol may have a serious problem and should talk to their doctor about treatment options. Alcohol consumption, alcoholism and alcohol withdrawal are among the main causes of tremors. Your doctor will ask you if drinking worsens or improves your tremors, as a means of trying to determine if alcohol is to blame for the involuntary movements. Abruptly quitting drinking after a prolonged period of time, such as stopping after using alcohol most days of the week for several years, is potentially dangerous and can lead to depression, vomiting, diarrhea and even seizures or death; therefore, you shouldn't quit without professional guidance. If you stop drinking suddenly after long-term, consistent consumption, you are at risk for a dangerous condition called alcohol withdrawal. This condition typically occurs in adults, but can happen in teens who drink regularly and even infants born to alcohol-dependent moms. In a 1998 report about fetal alcohol syndrome, Jennifer Thomas, Ph.D., writes that newborns whose mothers were intoxicated during delivery can exhibit signs of alcohol withdrawal, including tremors and frequent mouth movements. Symptoms of alcohol withdrawal can occur within five to 10 hours of your last drink, worsen at 48 to 72 hours and persist for several weeks, reports MedlinePlus. Your tremors will likely be accompanied by anxiety, mood swings, irritability and physical symptoms like clammy skin, dilated pupils, nausea and vomiting. 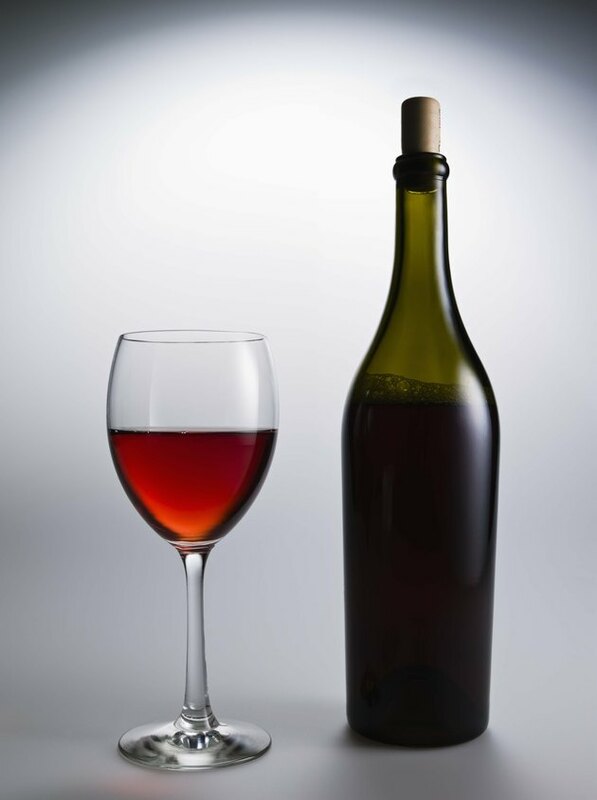 In 2004, "American Family Physician" reported that "most patients undergoing alcohol withdrawal can be treated safely and effectively as outpatients." Detox involves medications that calm nerves and reduce agitation, prevent seizures, maintain blood pressure and heart rate, and reduce alcohol cravings. Detoxifying your system from alcohol can take about seven to 10 days. If you're a heavy drinker, getting your drinking under control can prevent the onset of tremors. Once you're having symptoms like tremors, however, it's likely that your body is already dependent on the alcohol. The "New York Times" reports that excessive alcohol use is characterized by consuming more than 15 drinks per week for men and eight drinks per week for women. Drinking more than five drinks a day for men and more than four a day for women is also considered excessive. A sign that you're dependent on drinking might be a daily routine that's affected by or organized around your habitual drinking; for example, consistent tardiness at work because of hangovers. Fighting with your spouse, getting arrested for drinking and driving, and not remembering things you've said and done while drinking is also indicative of alcohol dependence.